NeuroVue® Dye Filter is useful for neuronal tract tracing studies of up to 3-4 weeks. Spectrally compatible with eGFP, YFP in many systems, and NeuroVue® Maroon & Jade. 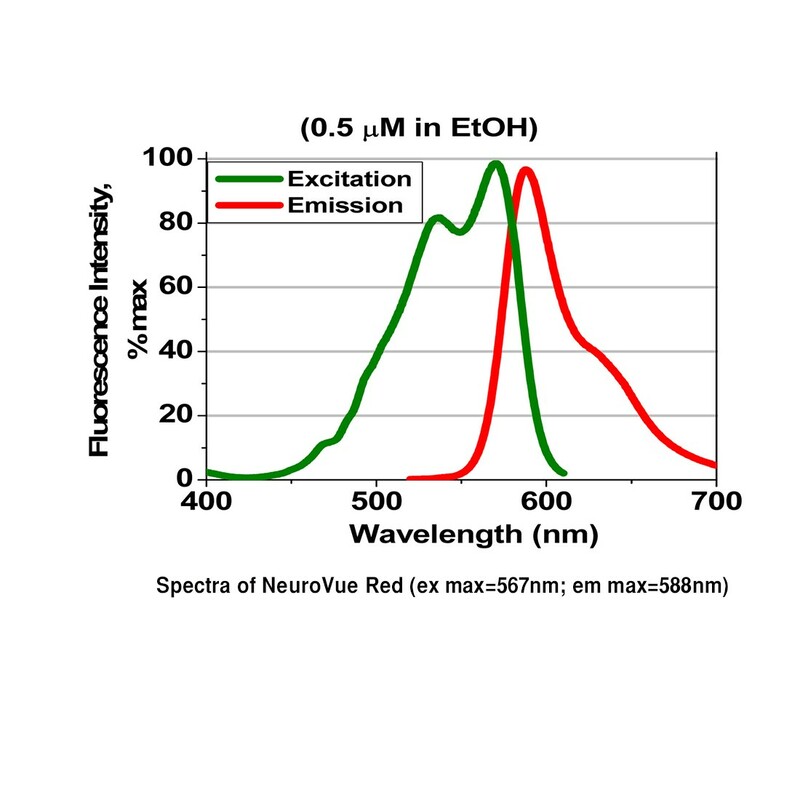 Spectral unmixing required for use with NeuroVue® Orange. 1 cm² nylon filter coated with the lipophilic red emitting dye, NeuroVue® Red. Typical dye loading: 11-14 nmoles/mm². Sold under sublicense from PTI Research, Inc. to MTTI. NeuroVue® is a trademark of PTI Research, Inc. For patents, see link.